In a show of force and disregard for Nigeria’s Federal Ministry of Labour and Productivity, Nigerdock Nigeria plc, under the Jagal Group, on Thursday sacked 1400 workers of the company, who were demanding better working conditions. The workers were sacked through text messages which they all received from Nigerdock’s recruitment agency, Prime Services, and were told to check their names at the entrance of the company. The sacking of the workers, mostly the Fabricators, came as a result of the incident that happened on Wednesday when workers booed the Chairman of the company, Anwar Jarmakani, who wanted to address them the next day after they were mandated to come to work by the company. The workers booed Jarmakani because their representatives at the meeting in Abuja on Monday, October 19th were prevented from entering the premises of the company by the security who were ordered to lock them outside. According to one of the workers, they wanted to hear from their representatives and not Jarmakani who only visits the company once in a while and does not care about the welfare of the workers. The chairman with other officers of the company were booed until they were taken away by their security aides, only for the workers to receive a ‘sms’ on their phones that their services were no longer required. It should be recalled that the workers, over 3000 of them, had been on strike since September 29 after the company’s management reneged on the agreement it signed with the workers who earlier protested on September 4 to 7th until management negotiated with them. The 1400 workers sacked are the fabricators that the management deemed to be the ring leaders of the protest as workers in other departments received ‘sms’ messages that they should all come to work as usual and that nothing is happening. The workers are presently at the maritime union office on what to do as they hurriedly joined the union after the management had been involved in casualisation for a long time and prevented them from having a union. The maritime union officials are accusing the management of Nigerdock of being economical with the truth whenever they go to the company to intimate the workers about the need for a union as the management always lied to them that the workers are less than 100. The meeting in Abuja on Monday had managed to make both parties agree on 7 from the 15 demands of the workers. The industrial crisis started after workers completed a load-out for Subsea 7 and Exxon Mobil worth $200 million and demanded a load-out benefit with the company giving them a T-shirt which infuriated the workers into protests resolved then by men of the police force in the Apapa area. 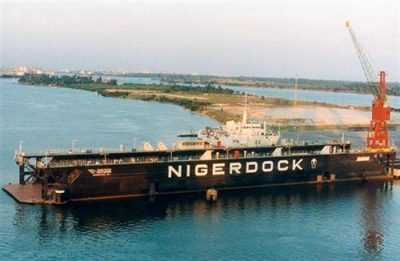 Nigerdock was once a fully Nigerian company but was privatized in the era of former President Olusegun Obasanjo under his privatization process with rumours alleging that Obasanjo is one of the shareholders of the company. The company has not said anything but a call placed on a mobile number seen in one of the mails of Prime Services to a worker was picked by a male who refuses to comment on the matter as he said he was not the right person to do so, while refusing to give a number of a superior to call on. The workers are presently building a Living Quarters (LT) for Total Nigeria before the current industrial crisis. Nigerdock Nigeria Plc – FZE is West Africa’s Leading Industrial Corporation focused on Oil and Gas construction and major marine services including offshore and pressure vessel fabrication, ship building and repair, industrial training and specialised Oil & Gas and Maritime support. It is strategically located on Snake Island Integrated Free Zone, an impressive industrial free zone facility and port development on an island in the coastal waterways of Lagos, with immediate access to the open seas. Ajose Sehindemi is a journalist in Nigeria, with a passion to effect change in society through reports that affect the masses. He has been a reporter for a number of years covering various beats as Business, Labour ,Current Affairs, Politics and General news. 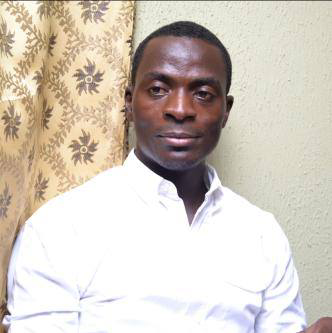 He also holds a B.A in English Literature from the Obafemi Awolowo University (OAU) Ile-Ife, having obtained a National Diploma (ND) in Mass Communication from the Polytechnic Ibadan, Oyo State, Nigeria.